One of the greatest minds of our era passed away in November 2006. Today would have marked his 105th birthday. 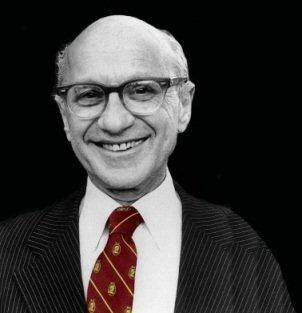 Milton Friedman won the Nobel Prize for Economics; but it was his ability to relate complex economic ideas in simple terms the average person could understand, and his devotion to liberty, that made him truly great. Milton and his economist wife Rose spent literally decades researching, writing, speaking, and popularizing free-market economics and its connection to liberty and freedom. Rose actually grew up here in Portland, and it was my privilege to call her and Milton my friends. Last year the Friedman Foundation for Educational Choice celebrated the 10th and final Friedman Legacy Day, which began after Dr. Friedman passed away. Rather than continue those annual celebrations, the foundation, created by and named after Milton and Rose Friedman, moved forward with its new name, EdChoice, and a new strategic plan. Please join all of us at Cascade Policy Institute as we celebrate the lives and contributions of a great couple, and renew our commitment to promote their ideas and ideals, which include the goal of every child being able to attend the public, private, religious, or home school of their choice, with funding following the student.